No, pasta is not only traditionally made in Istria and Italy. 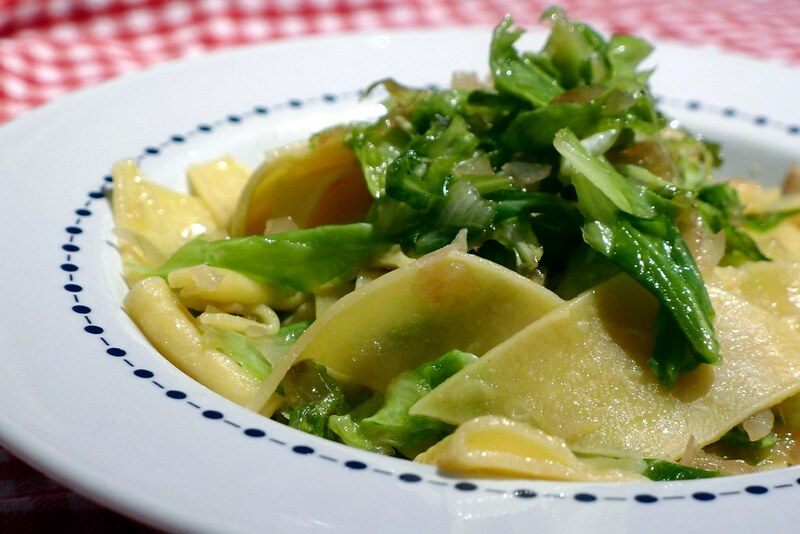 Also in the households of the continental part of Croatia homemade pasta has an important role in everyday cuisine. 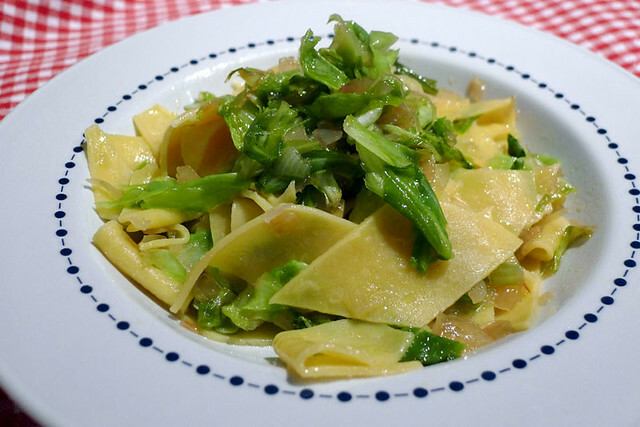 For example, the recipe below is an emblematic pasta dish of Zagreb, the capital of Croatia, and its surroundings. It is usually served as a side dish of grilled pork ribs (carsko meso), meatballs or Wiener Schnitzel (breaded cutlet). From fluor, eggs, salt and a bit of water prepare the pasta dough that should not be too soft and too wet. Use pasta machine to make pasta sheets of 1,5-2 mm thickness. Cut out rhomboidal shaped pasta (krpice) whose length are around 2 cm. Slice the cabbage and mix it with a tablespoon of salt. Carefully caramelize the sugar in a heavy bottomed pan. Add a bit of water, oil, onions and simmer for 3-4 minutes. Squeeze the cabbage to remove the water it released and add it to the pan. Simmer until the cabbage is tender and this can take a while, even 20-30 minutes. Cook krpice in salted water until they get al dente, drain and mix with the cabbage. Season with salt and pepper. Mmmmm I have to try that absolutely when I go back to Zagreb! Any restaurant to recommend?